Robotics can provide you with a skilled labor force in a current environment where it seems harder and harder to retain good quality workers. The Initial investment can seem steep, but in relation to the time spent on the hiring and training process, not to mention the incentives it takes to keep those superstar employees, your savings can start to accumulate very soon. Employment data from the U.S. Department of Labor showed job openings rose again in January to the highest level since 2000. In mid-2015 there were 2.3 more unemployed people than open jobs. In April 2018, unemployment reached a 10-year low of 4.4%. In some areas, that rate is even lower, which makes it impossible for manufacturing or distribution companies to grow and thrive if they are highly dependent on labor. One of our clients in an area with just 2.8% unemployment has begun an automation process to cope with the lack of labor (skilled or otherwise) in the market. If the new tax and jobs bill continues to fuel investment and create new jobs, this could make fulfillment recruitment and staffing that much harder for companies. It makes a case for robotics in selected jobs. Many companies, including in e-commerce, are using warehouse robotics in collaboration with employees. The best example is in picking. Studies show that pickers in large warehouses may walk as much as 15 miles per day, with about 75% of day spent in travel time. Robots travel between zones, while employees generally stay within a pick zone. 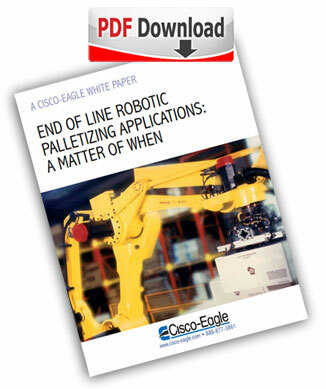 In the right environment, the addition of warehouse robotics can significantly increase pick rates. Picking accuracy is also enhanced by the various ways that robotics can be employed. Much like other technologies such as voice, robots have the ability to have the touch screen communicate in the picker’s native language, dynamically changing based on a badge worn by the picker. Typically, there are two major costs to warehouse robotics you need to consider: implementation and the monthly system lease. Early adopters have shown that once the fully loaded hourly labor cost reaches $15 to $16, robotics can be cost justified. They work longer without needing breaks and can run from 12 to 14 hours on a charge. As labor availability becomes tighter and wages push up, more companies will find a profitable application. The costs of land, labor, energy, insurance and other business expenses are constantly rising. The cost (and effectiveness) of automation has either remained steady or declined over time. Small-to-medium-sized warehouses may not be able to cost justify robots at the present cost structure but that will change as the technology becomes more commonplace. Currently the best candidates are large warehouses with long pick routes and large SKU assortments. The latter often adds distance and makes accuracy more difficult due to colors, sizes and similarities between products. Businesses such as third-party logistics (3PL) with multi-client assortments have mainly been the earlier adopters to date. The use of robotics in a complex warehouse environment can effectively shrink the distances and time needed for task associated. From this, you can expect more efficient operations. Warehouse robotics may have another benefit when compared to sortation and other automated conveyance systems: Flexibility. We’ve seen early adopters insert robotics into an existing conventional warehouse without any changes to the physical layout such as racking. As beneficial as sortation and conveyance systems are, they are also inflexible when major changes to product assortments take place. If you see your fulfillment operation needing to grow quickly over the next two to three years, we recommend you research where the technology is today, and where it will be in the near future. In the right environment, warehouse robotics will reduce costs, boost productivity and improve customer service with greater accuracy.